Cheers, Bastardô! The future is the place where you will be for the rest of your life. Open a bottle, pour a glass and slowly savour the will to keep going. 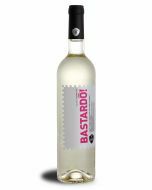 Technical notes: Intense and fruity wine on the nose, enhancing the fresh citrus fruits profile. In the mouth we have a very balanced and fresh wine, with good acidity and presence. Perfect as a starter or to be served with fish or grilled white meat dishes. Bastardô! 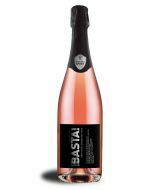 Rose – 81 pts | This soft, almost tasteless wine just hints at caramel and red fruits. It lacks character. Bastardô! Rose – Note 15,5 | Aragonês and Castelão. Lush aroma, full of red fruits and some sweetness, but also keeping its freshness and balance. Generous flavour, tasty, gooseberry. Consensual and attractive profile. Bastardô! 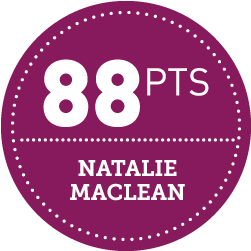 Rose 88pts | The renowned Canadian wine writer Natalie MacLean who was named the World's Best Drinks Writer at the World Food Media Awards in Australia has tested and evaluated our wines. SONOMA BRAZIL BASTARDȎ! has been considered the Best Choice of the month in November 2012. Sonoma is a top wine reference in South America, with the best wine critics and toughest reviews. Therefore, it is a real honor to be recognized.